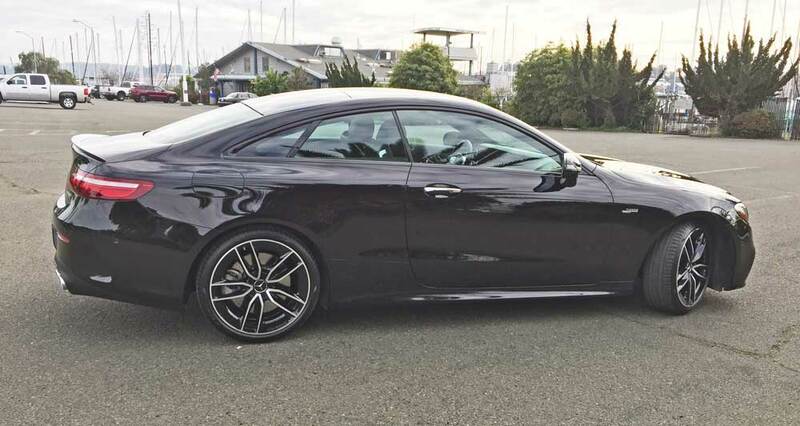 The Tri-Star team at Mercedes-Benz – more specifically, the AMG wizards, has transformed the venerable E-Class into a balance of 21st century styling elegance and performance engineering in three configurations: The Mercedes-Benz E53 Coupe; E53 Sedan; and the E53 Cabriolet or Convertible. All derive their power from a 429 horsepower, specially tuned AMG, inline turbocharged six-cylinder engine with electric assist and auto stop/start, and all provide seating for four. The sedan comes with four doors, while both the Coupe and Cabrio accommodate entry via two doors. We’ll deal here with the E53 Coupe, which along with the ragtop unfortunately has limited rear seat legroom.